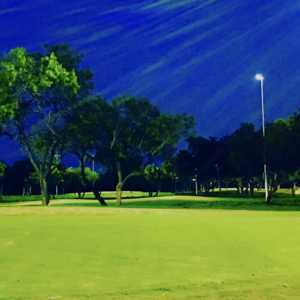 SAN ANTONIO -- Quarry Golf Club has been a staple of Alamo City golf since 1993 and to many of its frequent golfers, it is just as fun today. Quarry G.C. : One of Texas' most unique. It is hard to imagine this gem has been around that long, but it's not long at all considering the Quarry nine holes were tooled around in since the early 1900s. The limestone rock quarry digging was started as part of the Alamo Portland Cement Company. On top of where you now see the new apartment complex was the old company town. It was a city in itself. There could be nothing better in golf course architecture than to take a worn-out piece of land and revitalize it into something special. That was Keith Foster's assignment for this 6,740-yard par 71. "The Quarry was a very fortunate break for me," Foster said. "The job came along just after I broke away from Arthur Hills' design group, and it was my first real benchmark course. It enabled me to escape and do something different. It is an emotional and exciting golf course, and (it's) like the origins of the game. It was a very compelling job for me." 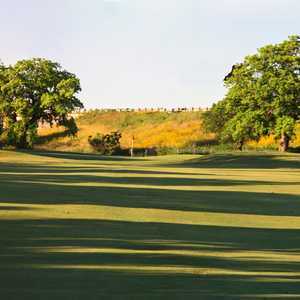 The front nine is links-like because it plays through native rolling grasslands. There are a few trees on the perimeters and lots of water and bunkers to contend with. The back nine is entirely down in the quarry pit. Quarry's 13th hole is a visually intimidating dogleg left. This par-4, 362-yard challenge has a water drop off to the left, and if you miss that hazard, you could land in a long bunker guarding the left. Most will over-compensate and hit it too far right leaving a long second shot to a heavily guarded bunkered green -- the smallest one on the course. However, if you can hit a true draw, you will be in great shape for birdie. The par-3, 242-yard 16th requires a solid shot and is named "Gibraltar," because it is framed by a rock cliff. When you reach the 17th green, be sure and take in the view -- you can look back down on the 16th green. And speaking of the 17th -- it's a par-4 386 yarder named "Reload." Many average golfers will have to reload on this hole, because the tee shot is a target drive. Too far left, and you are down way below the elevated fairway. Actually the landing area is generous, so just make sure you hit it far enough right -- but not too far right, or you will be in the rocks of the Quarry's eastern wall. The 18th, named "High Road Home," is a par-5 565 yarder that has a narrow fairway and the Quarry wall on the right. Slices into the wall, covered with native plants and prickly pear cactus, could get a lucky bounce back to the fairway -- but don't count on it. Hit a long iron to the skinny landing area, then on the second shot, you can hit 3-wood because the fairway widens nearer to the green. After the round, enjoy the view from the Quarry G.C. clubhouse, which has a restaurant and bar where you can look down on the Quarry side and see every hole. Also, check out the shops and restaurants nearby at the Alamo Quarry Market.